Gardener Monty Don traces his family tree. His efforts lead him to a port near Anglesey, where he learns of a national disaster that ended in a family tragedy. 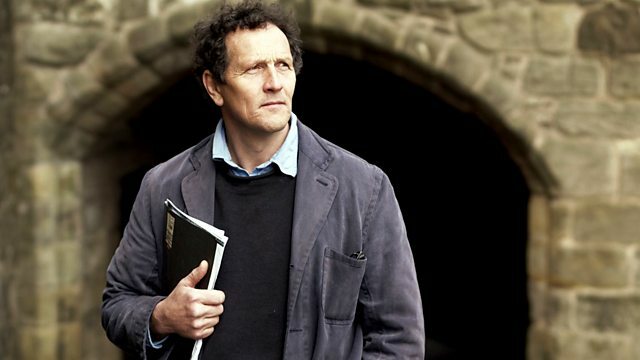 Nine celebrities trace their family trees to explore the lives of their ancestors and uncover major themes in British social history. Famous gardener Monty Don comes from a well-known dynasty of architects on his mother's side of the family but knows little about his other relatives. He starts his investigation with a visit to his older brother David. Amongst the family memorabilia, they find a photograph of their great-grandmother Charlotte Wyatt, whose maiden name was Hodge. Monty is intrigued as no-one in the family has spoken much of the Hodges. Monty's efforts lead him to a port near Anglesey, where he learns of extraordinary colonial travels and a national disaster that ended in a family tragedy. On his father's side, Monty has heard that his ancestors were part of the famous Keiller marmalade dynasty, based in Dundee. Following their invention of chip marmalade, the Keillers became immensely rich, but Monty's immediate family saw none of the fortune. So where did the missing marmalade millions go? Monty travels to Scotland to discover how his great-grandfather was involved in the business. He unearths a bitter family feud that finally answers his questions about the Keiller fortune. See all episodes from Who Do You Think You Are? Curious about your family history? BBC History has plenty of tips to help you get started.